Republican Joe Straus of San Antonio will have to fend off two Tea Party opponents this election season to win the GOP nomination for his Texas House seat, but that may make it tougher than usual for Straus to avoid a runoff election. According to the Texas Secretary of State’s office, Straus last faced more than one Republican opponent in 2005, when he first ran for the Texas House of Representatives. This primary he’ll face two Tea Party conservatives, which may make it harder to capture more than 50 percent of the vote and the party nomination. This week, former Bexar County school teacher Shelia Bean announced her candidacy to unseat Straus. Former-Bexar County Tea Party director Jeff Judson is also trying to defeat Straus in a district that includes a large part of Northeast San Antonio. Both Judson and Bean’s campaign believe the race for the Republican presidential nomination may attract more grassroots Texans who want a change and that could make it more difficult for Straus to win the primary outright and avoid a runoff. Still, with $8 million dollars in his growing campaign war chest, defeating Straus a long-time incumbent, and powerful Speaker of the House, will be difficult. On the issue of abortion, House Speaker Joe Straus has identified himself as pro-life. But in a video released by Bexar County Republicans, Straus struck a more strident tone as he pledged to thoroughly investigate Planned Parenthood. Political experts say it’s tough talk as the Speaker gears up for reelection. Before state representatives could choose Joe Straus to become the Speaker of the Texas House, he had to be elected in the San Antonio district where he lives. He’s now represented House District 121, that stretches from Alamo Heights north towards Hollywood Park, for 10 years. During that time Straus has faced a number of Republican challengers who’ve claimed Straus isn’t conservative enough. But none of them have had as much political experience as tea party candidate Jeff Judson. Texas House Speaker Joe Straus is officially seeking another term wielding the gavel. The San Antonio Republican on Monday filed papers with the state Ethics Commission to run for speaker again, according to his office. If re-elected, he will bid for a fifth term at the helm of the lower chamber, rivaling Pete Laney and Gib Lewis as the longest-serving speakers. Straus easily won a fourth term as speaker in January, earning the support of all but 19 House members. Rep. Scott Turner, R-Frisco, had challenged him. 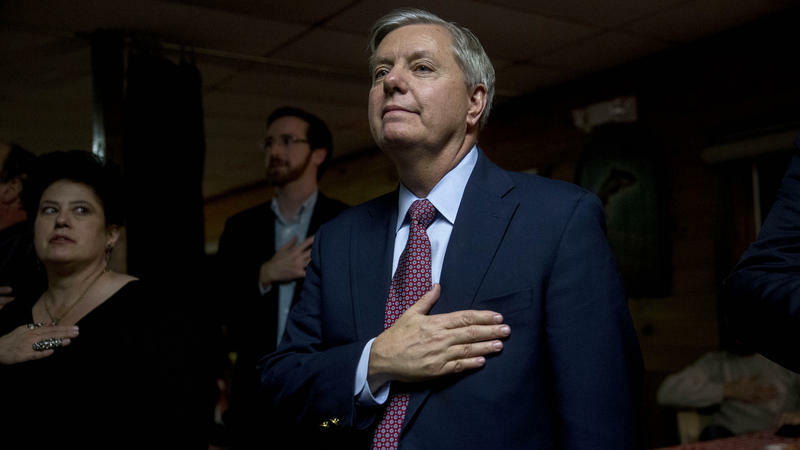 South Carolina Sen. Lindsey Graham is ending his bid for the Republican presidential nomination. Graham tweeted the news, with a video of his announcement. In an interview with CNN, Graham said, "I'm going to suspend my campaign. I'm not going to suspend my desire to help the country."